In the first two months of 2019 global asset allocation has gained 4% to 8.6%. I use the iShares Core Global Allocation ETFs as a proxy instead of indexes since the ETFs are real world performance including costs. The four different allocations below represent different exposure to global stocks vs. bonds. 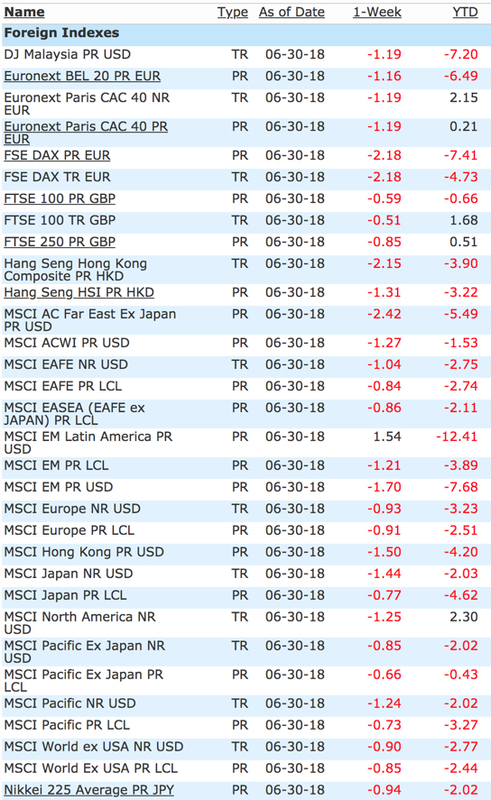 I’m not advising anyone to buy or sell these ETFs, but instead using them as an example for what a broadly diversified global asset allocation portfolio looks like. Most financial advisors build some type of global asset allocation for their clients and try to match it with their risk tolerance. The more aggressive clients get more stocks and the most conservative clients get more bonds. Of course, this is just asset allocation, so the allocations are mostly fixed and do not change based on market risk/reward. This is very different than what I do, which is focus on asymmetric risk/reward by increasing and decreasing exposure to risk/reward based on my calculations of risk levels and the potential for reward. So, my system is global, but it’s tactical rotation rather than fixed allocation. S&P Dow Jones Indices’ Target Risk series comprises multi-asset class indices that correspond to a particular risk level. Each index is fully investable, with varying levels of exposure to equities and fixed income and are intended to represent stock and bond allocations across a risk spectrum from conservative to aggressive. In other words, they each provide varying allocations to bonds and stocks. The Conservative model is more bonds, the Aggressive model is more stocks. S&P Target Risk Conservative Index. The index seeks to emphasize exposure to fixed income, in order to produce a current income stream and avoid excessive volatility of returns. Equities are included to protect long-term purchasing power. S&P Target Risk Moderate Index. The index seeks to provide significant exposure to fixed income, while also providing increased opportunity for capital growth through equities. S&P Target Risk Growth Index. The index seeks to provide increased exposure to equities, while also using some fixed income exposure to dampen risk. S&P Target Risk Aggressive Index. The index seeks to emphasize exposure to equities, maximizing opportunities for long-term capital accumulation. It may include small allocations in fixed income to enhance portfolio efficiency. Below is an example of the S&P Target Risk Index allocations and the underlying ETFs they invest in. Notice their differences is 10% to 20% allocation between stocks and bonds. 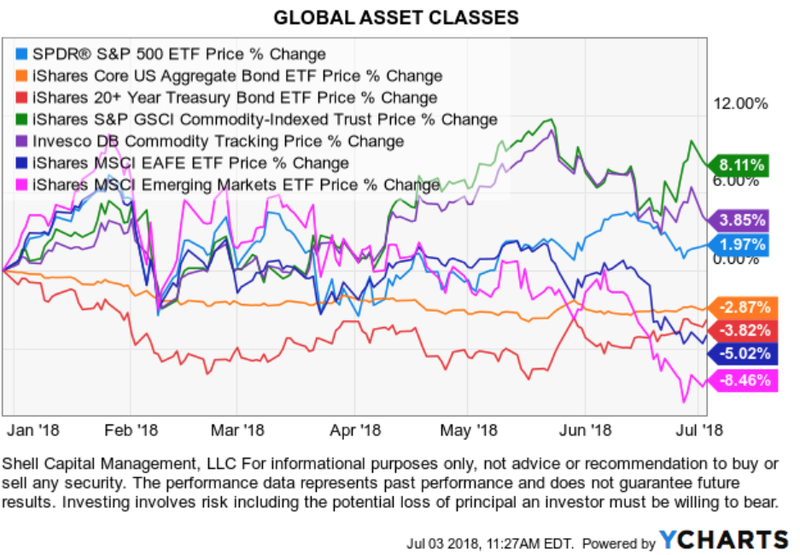 These ETFs offer low-cost exposure to global asset allocation with varying levels of “risk,” which really means varying levels of allocations to bonds. I say they are “low-cost” because these ETFs only charge 0.25% including the ETFs they are invested in. Most financial advisors probably charge 1% for similar global asset allocation, not including trade commissions and the ETF or fund fees they invest in. Even the lowest fee advisors charge at least 0.25% plus the trade commissions and the fund fees they invest in. With these ETFs, investors who want long-only exposure all the time to global stock and bond market risk/return, they can get it in one low-cost ETF. However, they do come with the risks of being fully invested, all the time. These ETFs do not provide any absolute risk management. As an unconstrained, go-anywhere, absolute return manager who does apply active risk management, I’m unconstrained from a fixed benchmark, so I don’t intend to track or “beat” a benchmark. I operate with the limitations of a fixed benchmark. My objective is to create as much total return I can within a given amount of downside risk so investors don’t tap out trying to achieve it. It doesn’t matter how much the return is if inveestors tap out during drawdowns before it’s achieved. However, I consider global asset allocation that “base rate.” If I didn’t think I could create better asymmetric risk/reward than these ETFs I wouldn’t bother doing what I do. I would just be passive and take the beatings in bear markets. If we can’t tolerate the beatings, we would invest in the more conservative ETF. I intend to create ASYMMETRY® and win by not losing, and that necessarily requires robust risk management systems and tactics. In the chart below, we see the global asset allocation ETFs are attempting to get back to their September 2018 high. While the S&P 500 stock index is still down about -4% from its September 2018 high, the bonds in these ETFs helped reduce their drawdowns, so they have also recovered their losses better. To be sure, below are the drawdowns. The iShares Core Conservative ETF is only 30% stocks and 70% bonds, so it had a smaller drawdown and has recovered from it already. I added the S&P 500 in this chart with is 100% stocks to show how during this correction, the exposure to bonds helped offset losses in stocks. Diversification does not guarantee a profit or protect against a loss in a declining market. 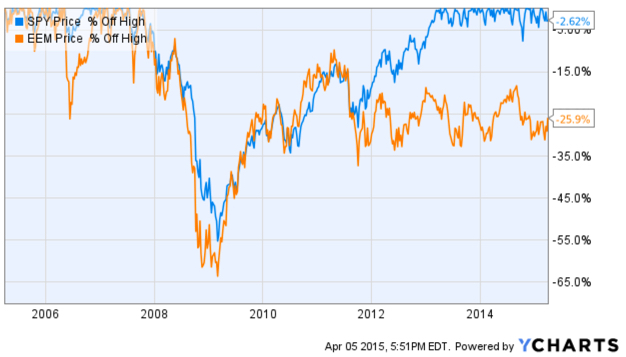 Sometimes diversification and even the broadest global asset allocation fails like it did in 2008. 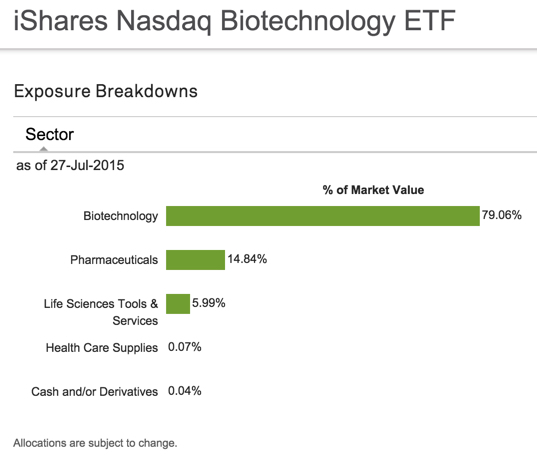 We can look inside the ETF to see their exposures. Below we see the iShares Core Moderate ETF which is 60% stocks and 40% bonds largest holding is the iShares Core Total USD Bond Market ETF (IUSB) at 50% of the fund. Below is the 1-year total return chart including dividends for its largest holding. It has gained a total return of 2.9% the past year. All of the gains were this year. Next, I added the other two largest holdings iShares Core S&P 500 ETF (IVV) and iShares Core MSCI International Developed Markets ETF (IDEV). The weakness was worse in international stocks. No total return chart is complete without also looking at its drawdowns. The combination of the total return chart and the drawdown is what I call the ASYMMETRY® Ratio. The ASYMMETRY® Ratio is the total return divided by the risk it took to achieve it. I prefer more total return, less downside drawdown. The point is, global stocks and bonds have recovered much of the losses. As we would expect so has global asset allocation. The only issue now is the short term risk has become elevated by my measures, so we’ll see how the next few weeks unfold. Most financial advisors and financial planners recommend to their clients some type of global asset allocation. Their global asset allocation models usually include a range of bonds, U.S. stocks, and International stocks. Some may include what are considered alternative investments like real estate (REITs), private equity, or tactical trading, but most of them keep it plain vanilla. This asset allocation method is called “strategic asset allocation” since it usually applies some form of portfolio optimization of historical returns and volatility to determine the weight between stocks and bonds. Who can blame them? asset allocation and diversification is easy to sell and easy to defend. If someone sells their business or retires with a large 401(k), it’s easy to sell them on diversifying their assets. If the markets go down it isn’t their fault, it’s the market that’s doing it. 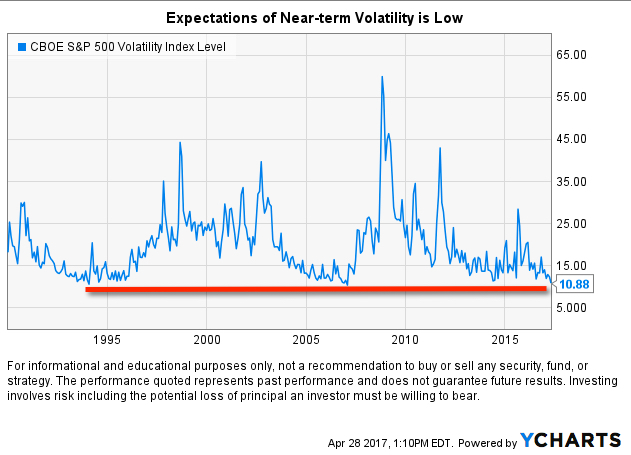 Is it too much drawdown or volatility? They just recommend a change to less stocks and more bonds. Of course, that only works when bonds aren’t falling too. Since many actively managed mutual funds failed to avoid losses during the last bear market 2007 to 2009, many advisors shifted their strategic asset allocation from actively managed mutual funds to index funds. It’s easy to see why; their clients lost a lot of money, even as much as -40% for a balanced portfolio of 60% stocks and 40% bonds. If they were more invested in stocks, it was as much as -50% or more. If a mutual fund was supposed to be “active,” I can see how such losses would be unacceptable. If an investor is paying more for portfolio management, they probably expect to have a more asymmetric risk/return profile than what long-only exposure to stock indexes all the time would provide for less cost. Index funds and ETFs are cheap because they simply provide exposure to market risks and rewards. They provide this exposure all the time, so when markets fall as they do in a bear market, they lose value and have no stop loss for risk management. I also use index ETFs to gain exposure to markets, countries, and sectors, but I don’t just buy and hold them, I increase and decrease my exposure to actively manage my risk/reward. My objective is an asymmetric risk/reward, so I want to avoid the larger losses as I try to capture gains. For me, it starts at the individual position level and flows through to the portfolio level. I’m entering positions we expect to result in an asymmetric risk/reward payoff; positions with a higher expected gain than its potential loss. I do this over and over, and they don’t all have to result in asymmetry. We just need the average gains to exceed the average losses over time to achieve a positive asymmetric risk-return profile. It’s an absolute return objective, meaning our focus is on our own payoffs and risk-reward profile, not trying to track what a stock index is doing. My strategy is unconstrained from the limitations of a fixed benchmark. Our objective is more about making money with a predetermined amount of absolute risk, not relative returns and tracking indexes. As such, the return stream is expected to be unique. That isn’t what active mutual fund managers do. 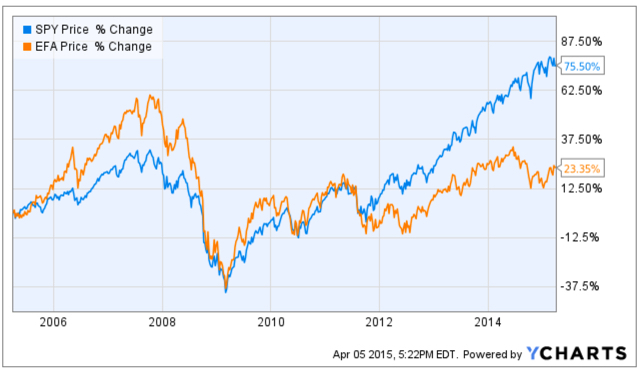 The typical active mutual fund has an objective of relative return vs. an index benchmark. As I’ve been an investment manager for over two decades, I’ve seen the relative return comparisons become more and more intense. Brokerage firms and investment advisors have created sophisticated performance reporting programs to compare their performance to chosen benchmarks. 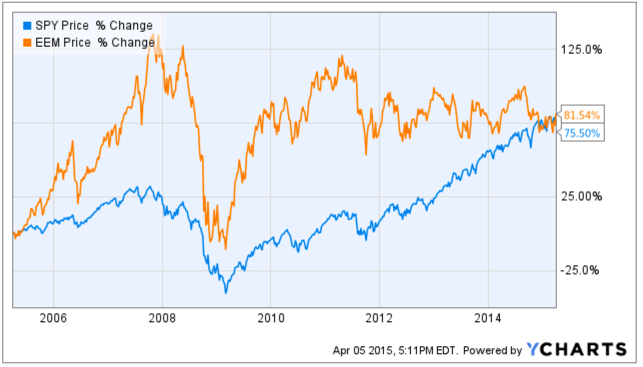 Active mutual funds have a mandate to “beat” and index. For example, some of them aim to beat the large growth, mid value, or small growth asset classes. Most of them attempt to beat their benchmark by filtering through the stocks in the index and picking better stocks. 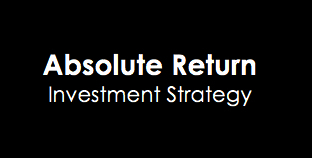 If a relative return is their objective, they are not focused on managing downside risk. Instead, they are focused on tracking the benchmark and getting ahead of it. Many of them probably attempt it by holding a more focused portfolio or with a portfolio of the higher momentum stocks relative to the benchmark. Since risk management isn’t their objective, they view any overweight in cash as a risk of underperformance. That’s what traditional “active managers” do. What I do is typically called “tactical management” since my objective is absolute return, not relative return, and I want to actively control my drawdowns through risk management. For example, I could be positioned in all cash in a bear market, hedged, short, or long volatility. So, there is an important distinction between “active managers” with a relative return benchmark-beating objective and those of us with an unconstrained strategy and focus on absolute returns. Mutual funds are typically relative return managers trying to beat a benchmark, hedge funds are typically absolute return managers creating their own unique return stream. Although, typically means that isn’t always the case. Ok, so, the headline was about the performance of Global Asset Allocation this year. Back to global asset allocation. Some financial advisors and media enjoy disparaging all types of active management. 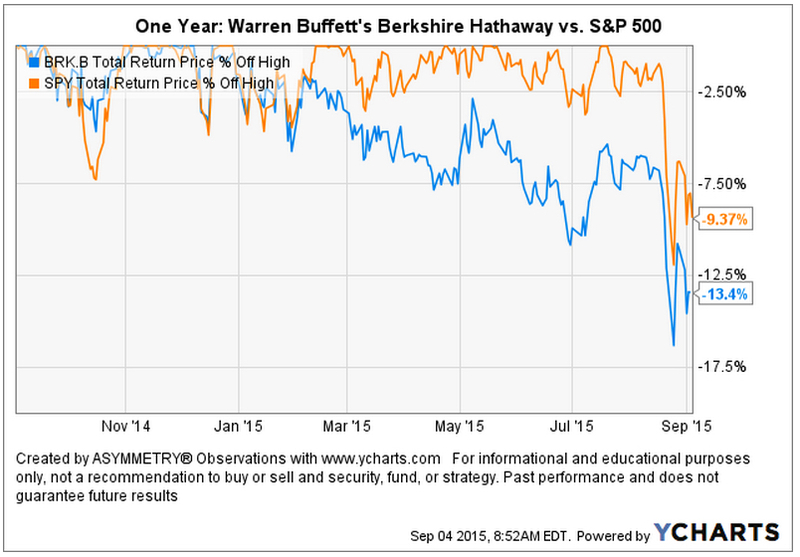 They talk about how relative return managers like most mutual funds don’t beat their benchmarks. They’ll point out how absolute return hedge fund type strategies may manage downside risk, but don’t earn as much return as an all-stock portfolio. Most of the time, it isn’t a reasonable comparison. For example, saying the Barclays Hedge Fund Index underperformed the S&P 500 the past decade isn’t complete without also considering the drawdowns. In the last bear market, the S&P 500 declined -56% while the Barclays Hedge Fund Index that includes a composite of thousands of hedge funds declined only -24%. I will suggest the stock index loss was so large most tapped out while the Barclays Hedge Fund Index was low enough that investors could have held on. It doesn’t matter how much the return is if the risk is so high you tap out before its achieved. This year has been a challenging and hostile year for all investment strategies. While those who adhere to a long-only fully invested asset allocation all the time will talk about the performance of active managers, theirs isn’t much to speak of, either. I know a lot of advisors, and we work with some who invest in my portfolio. Most of their global asset allocations are very simple, and now many of them use index funds and charge an advisory fee for the asset allocation and rebalancing. I know financial advisors who are big advocates of large asset managers like Dimensional Fund Advisors (DFA), PIMCO, and BlackRock. Advisors often tout how large they are and how many academics or how many analysts and portfolios managers they have on staff. I included the Arrow DWA Balanced fund because it’s managed by Dorsey Wright, which isn’t as large, but I know advisors use it. Most advisors who offer asset allocation models are doing their own asset allocations for their clients. The above returns are the result of each of these asset managers doing the allocation and investment selection. So, I would expect when it comes to global asset allocation, those funds should be as good as it gets. How is a financial planner who isn’t a portfolio manager going to do better? Some may say “What about Vanguard? They are some of the cheapest funds you can buy?”. I don’t know of a Vanguard global asset allocation fund like the DFA fund, but they do have a balanced 60/40 fund that doesn’t include exposure to international. Below is their balanced allocation fund along with their International stock fund. Though their fund isn’t down -7% like the global allocation funds, if you added 20% of their International to make it “global,” we can see it would be similar. 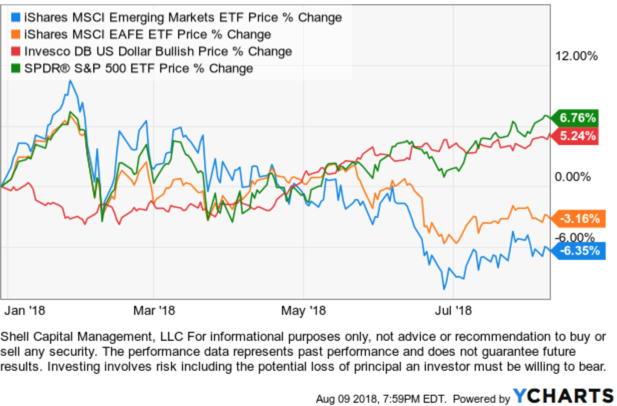 Since indexing and ETFs have become more popular than mutual funds, today we have some interesting ETFs that track global asset allocation indexes so we can better understand the return streams of global asset allocation. iShares is a BlackRock company, the world’s largest asset manager with $6.29 trillion in assets under management. If an investor thinks a large size with many professionals is the key to investment success, they would probably BlackRock is the best. Of course, I don’t agree, since the most skilled portfolio managers I know are small, focused, specialized firms with all their skin in the game. BlackRock’s iShares offers the iShares Core Allocation Funds, which are ETF allocations of ETFs. 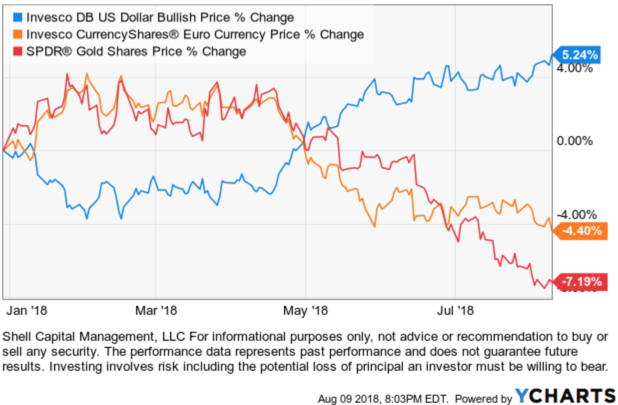 Each iShares Core Allocation Fund offers exposure to U.S. stocks, international stocks, and bonds at fixed weights and holds an underlying portfolio of iShares Core Funds. Investors can choose the portfolio that aligns with their specific risk considerations like investment time horizon and risk tolerance; for example, those with longer investment time horizons and higher risk tolerance may consider the iShares Core Aggressive Allocation ETF. Below is an example of the S&P Target Risk Index allocations and the underlying ETFs they invest in. Notice their differences is the 10% to 20% allocation between stocks and bonds. 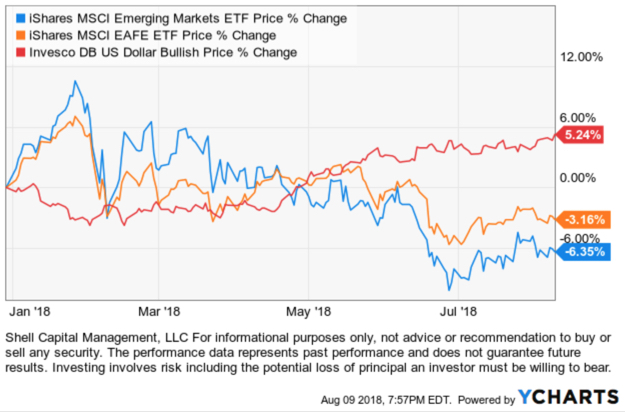 These ETFs offer low-cost exposure to global asset allocation with varying levels of “risk,” which really means varying levels of allocations to bonds. I say they are “low-cost” because these ETFs only charge 0.25% including the ETFs they are invested in. Most financial advisors probably charge 1% for global asset allocation, not including trade commissions and the fund fees they invest in. Even the lowest fee advisors charge at least 0.25% plus the trade commissions and the fund fees they invest in. With these funds, investors who want long-only exposure all the time to global stock and bond market risks and returns, they can get it cheap in one fund. 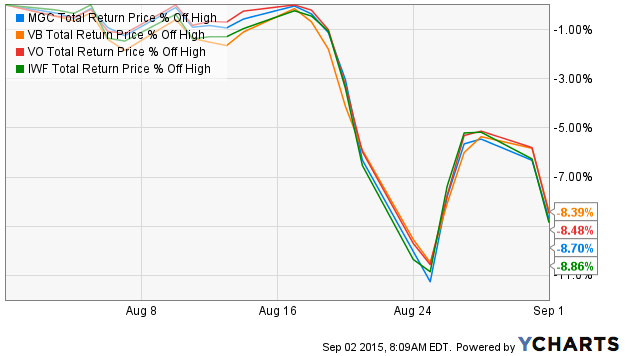 The % off high chart shows their drawdowns from their price high. Global asset allocation is having a challenging year in 2018 because U.S. stocks, International stocks, and bonds are all down this year. Of course, a calendar year doesn’t mean a lot. What we do over 15 or 20 years or more is what matters. But, as low-cost index asset allocation advisors talk about the performance of active managers and hedge fund type managers, 2018 has included conditions that have been hostile for all kinds of strategies. As I said yesterday if this market volatility and correction develops into a full bear market, the asset allocations that are fully exposed to downside risk will test investors’ tolerance for drawdowns. 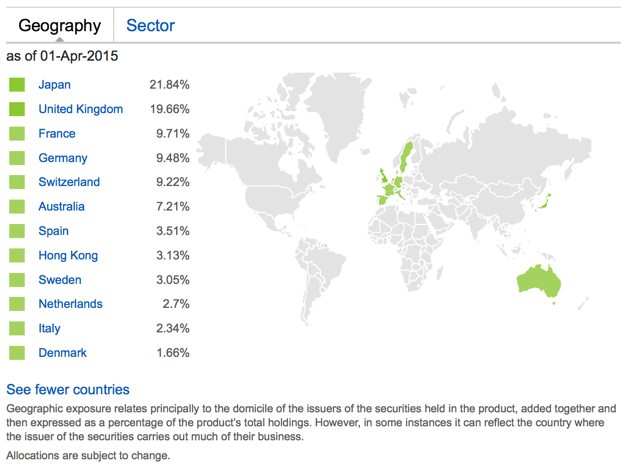 How deep can drawdowns be for such a globally diversified portfolio? 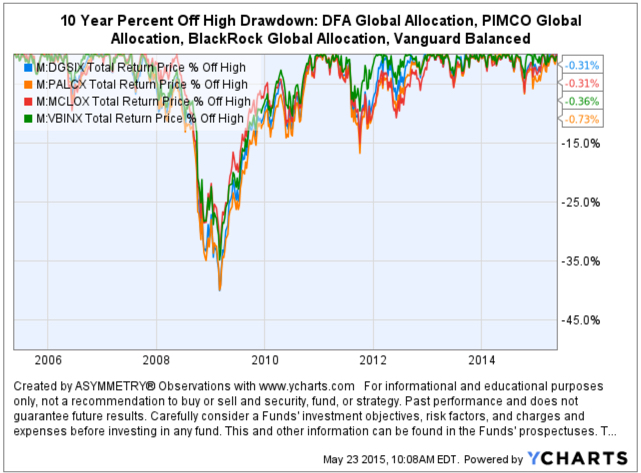 Looking at the historical % off high of DFA Global Allocation and Vanguard Balanced gives a historical example. Even two of the efficient allocation funds available had drawdowns of around -35% to -40% in the last bear market. If it’s done it before, it can certainly happen again. Those of us applying active risk management and hedging strategies aim to limit the drawdowns within a tolerable amount rather than allowing them to become too large. For me, more than -20% becomes exponentially more difficult to tolerate and recover from. We have to deal with the -10% or so drawdowns sometimes since we can’t avoid them all. We necessarily have to take some risk to gain exposure to the possibility of gains. Ok, so my headline was a little exaggerated. Drawdowns of -5% to -12% isn’t exactly a “beating”, but that’s the kind of headline we often see about active management and hedge funds. You can probably see why I believe it’s essential to actively manage risk and position capital in the direction of price trends. Stanley Druckenmiller has a 30-year track record that is considered “unrivaled” by many. From 1988 to 2000, Druckenmiller was a portfolio manager for George Soros as the lead portfolio manager for Quantum Fund. He founded Duquesne Capital to manage a hedge fund in 1981 and closed the fund in August 2010. Kiril Sokoloff of Real Vision interviewed him recently and shared parts of the interview on YouTube. I watched the full 90-minute interview and noted some observations I’ll share. “Let’s talk about the algos. We haven’t seen the algos sell, we’ve only seen them buy. We saw a little bit of it in February when there was some concentrated selling. We saw it in China in 2015, which was scary. Most people weren’t focused on that but I was and I think you were, too. They (algos/machines) are programmed to sell when the market is down -2%. The machines are running and can’t be stopped and a huge amount of trading and money is managed that way. We’ve been operating in a bull market and a strong economy. So, knowing that and knowing we’re at risk of that any moment… what are you watching for? …. how are you protecting yourself? What are you watching for? “I’m going to trust my instincts and technical analysis to pick up this stuff up. What was most fascinating about the rare interview of Stanley Druckenmiller is that some of us have figured out a successful tactical trading global macro strategy using the common elements of price trends, relative strength, risk management, and momentum combined with a dose of instinct all applied to global markets. 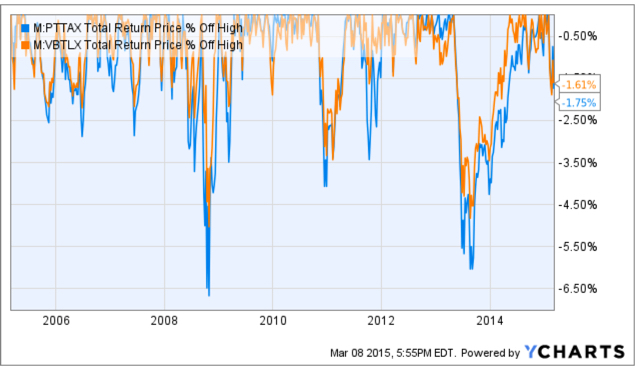 Jack Schwager: What determined the timing of your shift from bullish to bearish? Stanley Druckenmiller: It was a combination of a number of factors. 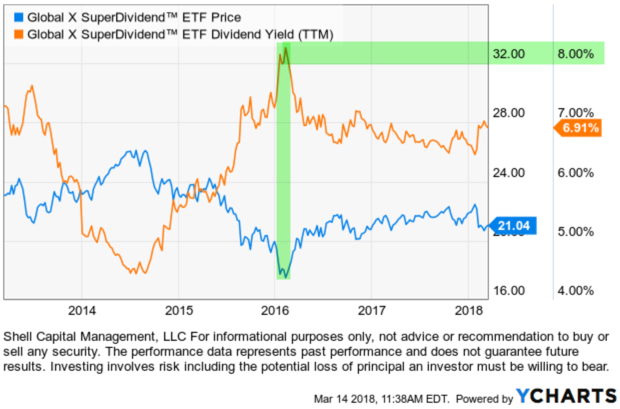 Valuations had gotten extremely overdone: The dividend yield was down to 2.6 percent and the price/book value ratio was at an all-time high. Also, the Fed had been tightening for a period of time. Finally, my technical analysis showed that the breadth wasn’t there—that is, the market’s strength was primarily concentrated in the high capitalization stocks, with the broad spectrum of issues lagging well behind. This factor made the rally look like a blow-off. Jack Schwager: How can you use valuation for timing? Hadn’t the market been overdone in terms of valuation for some time before you reversed from short to long? Stanley Druckenmiller: I never use valuation to time the market. I use liquidity considerations and technical analysis for timing. Valuation only tells me how far the market can go once a catalyst enters the picture to change the market direction. 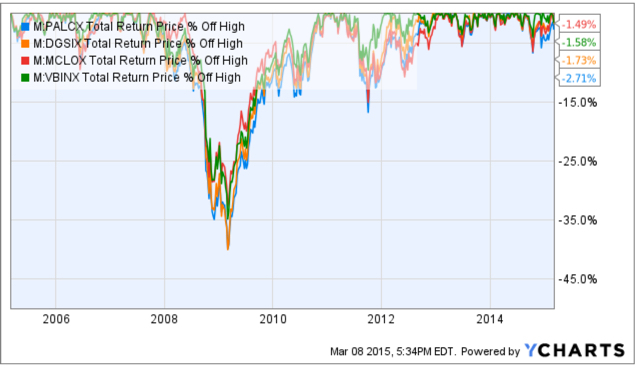 Jack Schwager: The catalyst being what? Stanley Druckenmiller: The catalyst is liquidity, and hopefully my technical analysis will pick it up. What is most fascinating to me is that I’ve come to the same conclusions through my own experience over more than two decades without knowing Stanley Druckenmiller or others similar to him beforehand. I have to admit that I didn’t remember having so much in common with his strategy because I read The New Markets Wizards so long ago. Some of us have discovered very similar beliefs and strategies through independent thinking and our own experiences. When I discover that others have found success I see the common characteristics and that confirms what drives an edge. An emerging market is a country that has some characteristics of a developed market but does not satisfy standards to be termed a developed market. The MSCI Emerging Markets Index covers more than 800 securities across large and mid-cap size segments and across style and sector segments in 24 emerging markets. The 24 countries in the index represent 10% of world market capitalization. The Index is available for a number of regions, market segments/sizes and covers approximately 85% of the free float-adjusted market capitalization in each of the 24 countries. MSCI uses their MSCI Market Classification Framework to classify countries based on economic development, size and liquidity, and market accessibility criteria. According to MSCI, it includes countries like Brazil, Chile, Colombia, and Mexico in the Americas. emerging markets in Europe, the Middle East, and Africa are countries like Hungary, Poland, Russia, and Turkey. 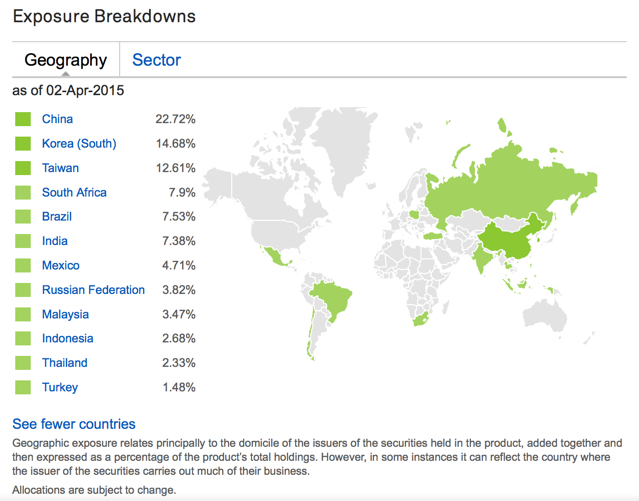 Asia emerging markets are China, India, Korea, and Taiwan. Now that we have clarified who the emerging markets countries are, let’s take a look at their price trends. The MSCI Emerging Markets Index is in a bear market territory, down -20% from its high in January. The investment industry defines a “bear market” as a -20% off its recent high, so we’ll go with it. This isn’t the first time Emerging Markets have declined -20% or more since 2009. The downtrend 2015 – 2016 was over -30%. Looking back to 2007, we see the Emerging Markets Index has never recovered to reach its high in September 2007. It’s still down about -24% from the high 11 years ago. So, if we define a “bear market” as -20% off its high, the Emerging Markets Index was in a bear market until January this year and has since reversed back into a bear market again. A bear market that lasts 11 years as this one did is called a “secular bear market“. So, we could say: emerging markets have reentered their secular bear market. Or, maybe it’s just a continuation of a secular bear market if we don’t consider the temporary January 2018 breakout above its 2007 high to have ended the ongoing secular bear market. The bottom line is, emerging markets countries as an index are trending down. They’ve been in a generally non-trending range for the last decade, though there have been many swings up and down along the way. It is what it is, but you may now wonder; Why? I pointed out in Trend of the International Stock Market one reason International stocks are trending down for U. S. investors is the Dollar has trended up. Currency risk is a significant risk facing investors in International and emerging markets. But that isn’t the only driver of stocks in these emerging markets countries. My focus is on the direction of the actual price trends. Any guess anyone has about what is driving the trend is just a narrative. Some guesses are better than others as there are specific return drivers that drive trends, but my decisions are made based on what the trend is now and if it’s more probable the direction will continue or reverse. Why do I care about the trend of emerging markets? As the portfolio manager of a global tactical investment program, I make tactical trading and investment decisions across world markets including not only U.S. stocks, bonds, commodities, and currencies, but also international stocks and bonds. My global universe includes developed countries as well as frontier markets and emerging markets. As emerging markets are down -20% off their high, smaller frontier markets are close behind and larger developed countries are also in a downtrend. Less experienced ETF investors and advisors sometimes ask why I include international markets in my universe, because they’ve only seen these non-trending, weak trending, and down-trending periods the last twelve years. I include these international markets to make my universe global because there have been periods when these markets provide significantly better trends and momentum over the U.S. stock market. For example, the 2003-2007 bull market. You can probably see how exposure to these markets added significant alpha to my global tactical portfolio prior to 2008. However, you may also notice their trends weren’t without volatility and declines along the way, so it wasn’t as simple as a buy and hold allocation to them. My Global Tactical Rotation® systems rotate between these markets trying to capture their positive trends rather than a fixed allocation to them. As seen in the chart above, the relative strength of emerging, frontier, and developed countries were significant over domestic stock indexes in the 2003 to 2007 bull market. It was a trend driven by commodities and countries that produce natural resources. They will have their opportunity again but for now, this trend isn’t our friend. Looking at the broad global markets, U.S. stocks are in a positive trend along with the U.S. Dollar. International stocks, commodities, and foreign currency are trending down. With the directional trends and momentum being in U.S. stocks, though not without volatility, that has been our focus this year. International stocks including both developed countries $EFA and emerging markets $EEM are trending down so far in 2018 as the U.S. Dollar $UUP is trending up. The U.S. Dollar $UUP is trending similar to U.S. stocks $SPY in April. The dollar has an inverse correlation with foreign currency like the Euro. With the rising dollar $USD, gold $GLD is trending down even more than the Euro currency $FXE. 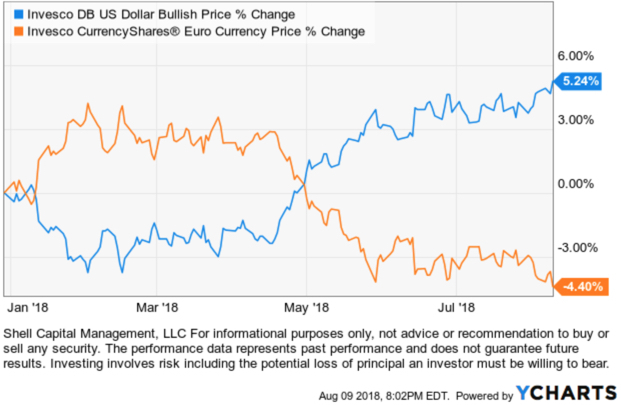 So, the overall broad observation of global macro picture is clearly a rising U.S. Dollar and U.S. stocks that are diverging from other markets. Yesterday we shared the 2nd Quarter 2018 Global Investment Markets Review, which used a broad range of indexes on performance tables to present the year-to-date progress of world markets. The issue with a table that simply shows a return number on it is it doesn’t properly present the path it took to get there. In the real world, investors and portfolio managers have to live with the path of the trend and we can see that only in the price trend itself. So, today we’ll look at the price trends of stocks, bonds, commodities, real estate, sectors, and other alternatives like volatility. I don’t just look for potentially profitable price trends in stocks and bonds, I scan the world. How is the market doing this year? Which market? First, a quick glance at global markets including commodities, stock indexes, volatility, ranked by year-to-date momentum. We wee the CBOE Volatility Index $VIX has gained the most. One clear theme about 2018 is that volatility has increased and this includes implied or expected volatility. Overall, we see some asymmetry since the markets in the green are more positive than the markets in the red. 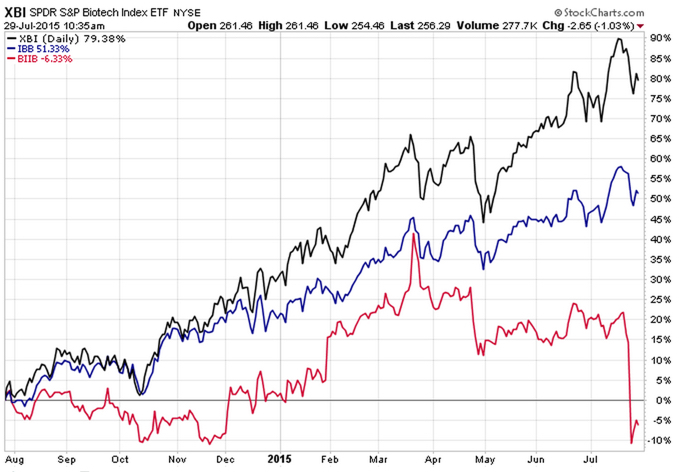 The popular S&P 500 stock index most investors point to is in the middle with only a 2% gain for the year. Commodities like Cocoa, Lumber, Orange Juice, and Crude Oil are leaders while sugar, live cattle, and soybeans are the laggards. 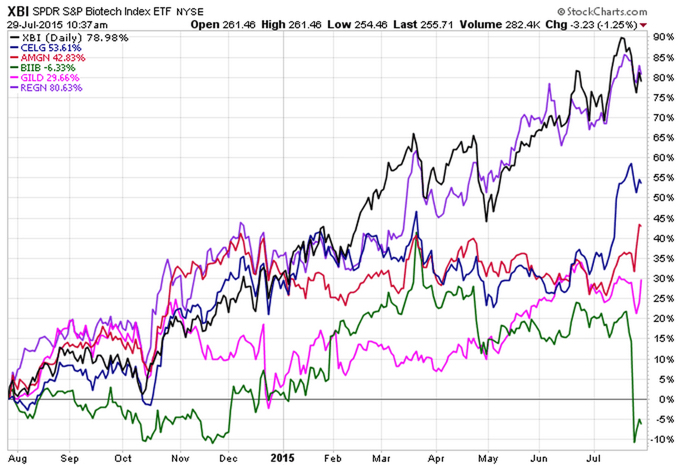 Most investors probably don’t have exposure to these markets, unless they get it through a commodities ETF. Most investors probably limit themselves to the broad asset classes, since that’s what most financial advisors do. So, we’ll start there. Below are the trends of broad market ETFs like the S&P 500, Aggregate Bond, Long-Term Treasury. For the year, Emerging Markets has the weakest trend – down nearly -6%. Developed Markets countries are the second weakest. The rising U.S. Dollar is helping to put pressure on International stocks. 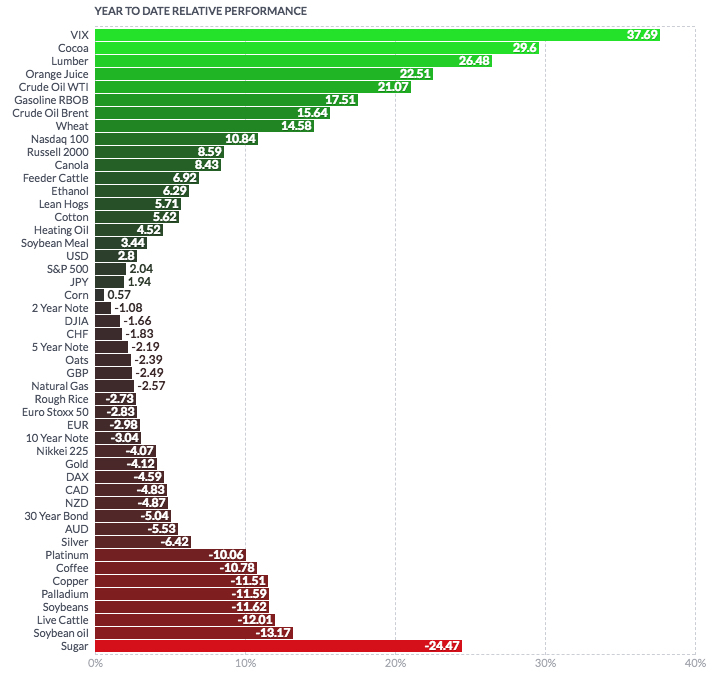 The leader this year is Commodities, as we also saw above. 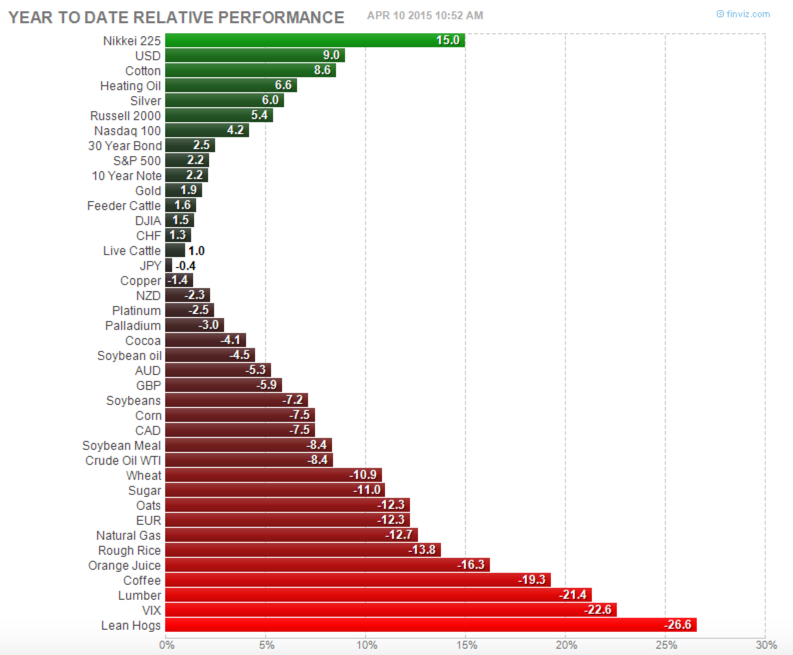 The Commodity index has gained 8% YTD. What about alternative investments? We’ll use liquid alternative investments as an example since these are publicly available ETFs. 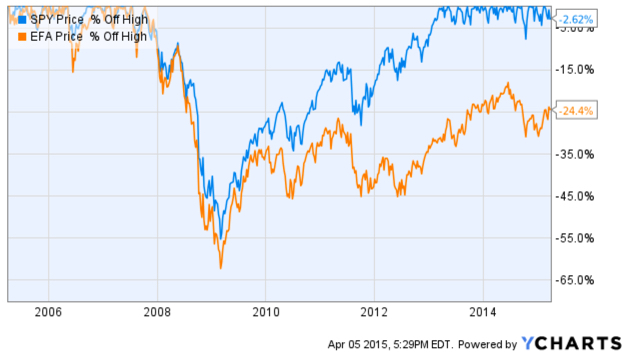 I’ve included markets like Real Estate, Private Equity, Mortgage REITs, and the Energy MLP. Not a lot of progress from buying and holding these alternative investments. This is why I prefer to shift between markets trying to keep capital only in those markets trending up and out of those trending down. The Volatility VXX ETF/ETN that is similar to the VIX index has gained so much early in the year I left it off the following chart because it distorted the trends of the other markets. It’s one of the most complex securities to trade, but we can see it spike up to 90% when global markets fell in February. Looking at the price trend alone isn’t enough. It would be incomplete without also considering their drawdowns. That is, how much the market declined off its prior high over the period. Analyzing the drawdown is essential because investors have to live with the inevitable periods their holdings decline in value. It’s when we observe these decline we realize the need for actively managing risk. For me, actively managing risk means I have a predetermined exit point at all times in my positions. I know when I’ll exit a loser before it becomes a significant loss. Many say they do it, I’ve actually done it for two decades. The alternative investments are in drawdowns YTD and Energy MLP, and Mortgage REIT is down over -10% from their prior highs. The Energy MLP is actually down -51% from its 2014 high, which I don’t show here. Next, we go back to the global asset class ETFs to see their drawdowns year-to-date. We don’t just experience the gains, we also have to be willing to live with their declines along the way. It isn’t enough to provide an excellent investment management program, we also have to offer one that fits with investors objectives for risk and return. The most notable declines have been in Emerging Market and developed international countries. However, all of these assets are down off their prior highs. Clearly, markets don’t always go up. The trends so far in the first six months of 2018 haven’t offered many opportunities for global asset allocation to make upward progress. This is why I rotate, rather than allocate, to shift between markets rather than allocate to them. We also trade in more markets than we covered here, like leading individual stocks. The magnitude of these drawdowns also shows why I believe it is essential to direct and control risk and drawdown. It is no surprise to see global equity markets stall after such a positive trend last year. 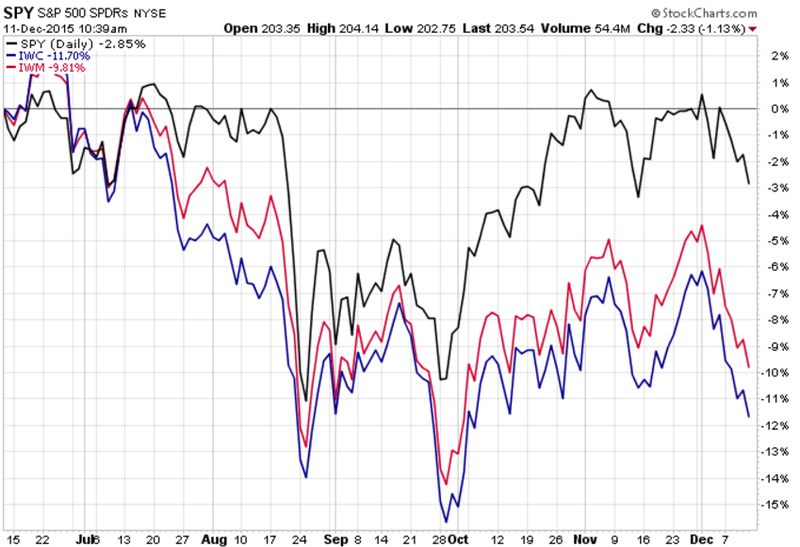 As we will see, the weakness is global and across both bonds and stocks. Before we review the year-to-date gains and losses for indexes, I want to share some of the most interesting asset allocation indexes I’ve seen. Keep in mind: we don’t offer this kind of asset allocation that allocates capital to fixed buckets of stocks and bonds and then rebalances them periodically. As a tactical portfolio manager, I don’t allocate to markets, I rotate between them to focus my exposure on markets in a positive trend and avoid (or short) those in a negative trend. I don’t need to have exposure to falling markets. We consider our portfolio a replacement (or at least a compliment) to traditional “asset allocation” offered by most investment advisors. I want to present some global asset allocation indexes because, in the real world, most investors don’t allocate all of their investment capital to just stocks or just bonds; it’s some combination of them. If they keep their money in cash in the bank, they aren’t investors at all. The Morningstar Target Risk Index series consists of five asset allocation indexes that span the risk spectrum from conservative to aggressive. The family of asset allocation indexes can serve as benchmarks to help with target-risk mutual fund selection and evaluation by offering an objective yardstick for performance comparison. All of the indexes are based on a well-established asset allocation methodology from Ibbotson Associates, a Morningstar company and a leader in the field of asset allocation theory. The securities selected for the asset allocation indexes are driven by the rules-based indexing methodologies that power Morningstar’s comprehensive index family. Morningstar indexes are specifically designed to be seamless, investable building blocks that deliver pure asset-class exposure. Morningstar indexes cover a global set of stocks, bonds, and commodities. These global asset allocation models are operated by two of the best-known firms in the investment industry and the leaders in asset allocation and indexing. I believe in rotating between markets to gain exposure to the trends we want rather than a fixed allocation to them, but if I all I was going to do is asset allocation, I would use these. Now that we know what it is, we can see the year-to-date return under the YTD column and other period returns. 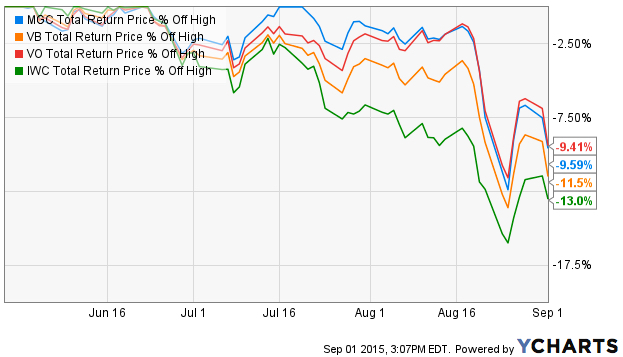 All five of the risk models are down YTD. So, it’s safe to say the first six months of 2018 has been challenging for even the most advanced asset allocation. Below are the most popular U.S. stock indexes. The Dow Jones Industrial Average which gained the most last year is down this year. 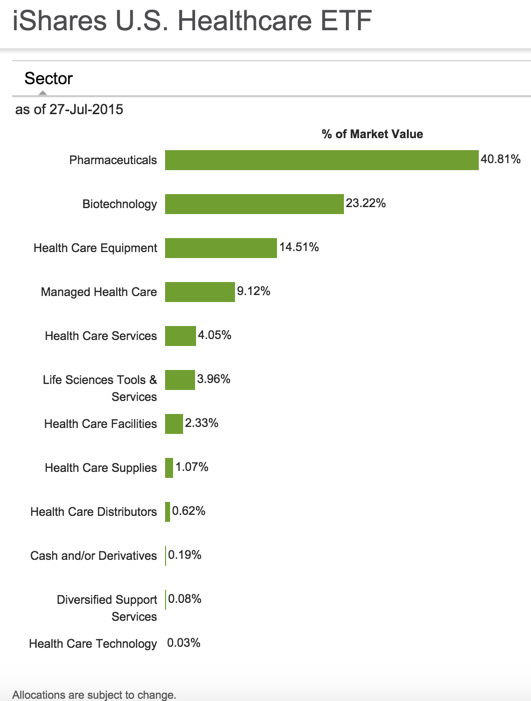 The Tech heavy NASDAQ and small-cap stocks of the Russell 2000 have gained the most. The well-known bond indexes are mostly down YTD – even municipal bonds. Rising interest rates and the expectation rates will continue to rise is putting pressure on bond prices. Morningstar has even more indexes that break bonds down into different fixed-income categories. 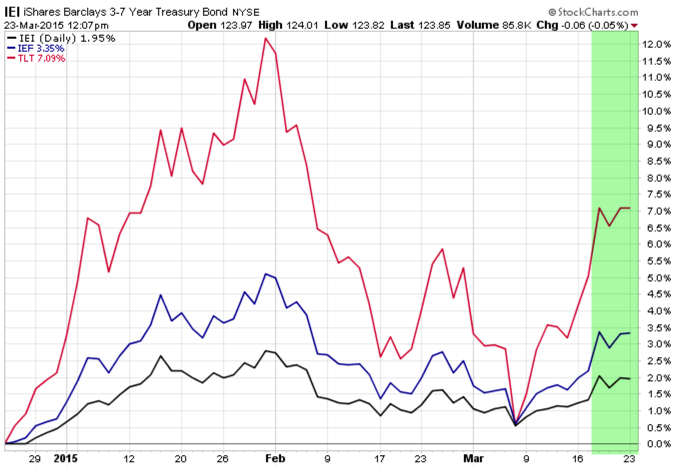 Longer-term bonds, as expected, are responding most negatively to rising rates. The most conservative investors have the more exposure to these bonds and they are down as much as -5% the past six months. That’s a reason I don’t believe in allocating capital to markets on a fixed basis. I prefer to avoid the red. Next, we observe the Morningstar style and size categories and sectors. As I wrote in Growth has Stronger Momentum than Value and Sector Trends are Driving Equity Returns, sectors like Technology are driving the Growth style. International stocks seem to be reacting to the rising U.S. Dollar. As the Dollar rises, it reduced the gain of foreign stocks priced in foreign currency. Although, some of these countries are in negative trends, too. Latin America, for example, was one of the strongest trends last year and has since trended down. At Shell Capital, we often say that our Global Tactical Rotation® portfolios are a replacement for global asset allocation and the so-called “target date” funds. Target date funds are often used in 401(k) plans as an investment option. They haven’t made much progress so far in 2018. It is no surprise to see most global markets down or flat in 2018 after such a positive 2017. But, only time will tell how it all unfolds the rest of the year. Commodities are trending with better momentum than stocks over the past year. A commodity is a raw material or primary agricultural product that can be bought and sold, such as copper or coffee. A commodity is a basic good used in commerce that are usually used as inputs in the production of other goods or services. Energy commodities include electricity, gas, coal, and oil. Electricity has the particular characteristic that it is usually uneconomical to store, and must, therefore, be consumed as soon as it is processed. At first glance, we see in the chart commodities ETF Invesco DB Commodity Index Tracking ETF has trended meaningfully above the popular S&P 500 index of U. S. stocks. 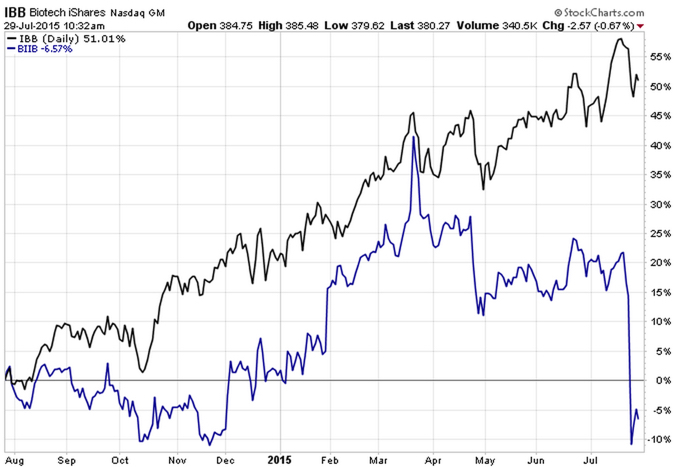 The relative outperformance is clear over this one-year time frame. Commodities, as measured by this ETF, are in an absolute positive trend and registering relative momentum. Examining a price trend is incomplete without also considering its downside. 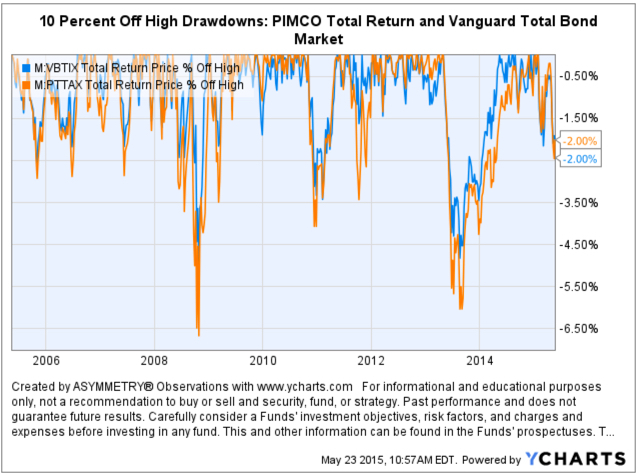 On the downside, I look at the % off high drawdowns over the period. We see that commodities were more volatile than stocks before 2018 with four dips around -4%. Since the stock market -10% decline that started in February, commodities declined, too, but not as much as U. S. stocks. Looking back at the trend chart, I added a simple trend line to show that communities are trending directionally better than the popular U. S. stock index. 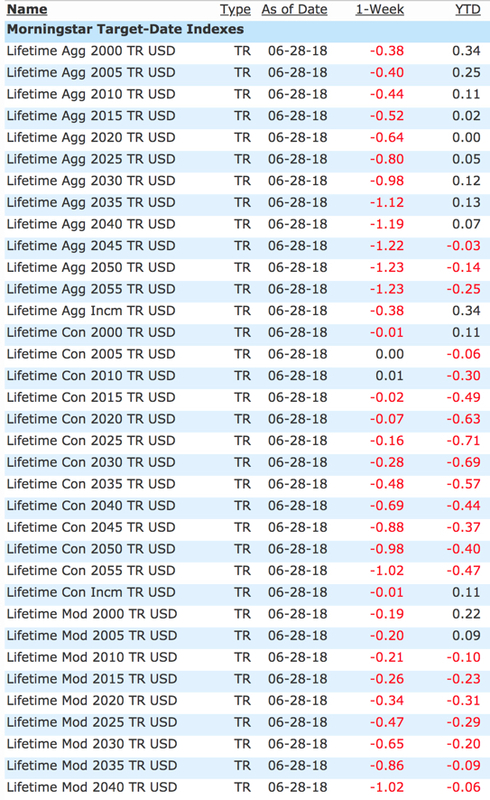 So, my quantitative Global Tactical Rotation® system that ranks an unconstrained global universe of markets including bonds, stocks, commodities, currencies, and other alternatives like real estate signaled this trend has been generating asymmetric risk/return. The Invesco DB Commodity Index Tracking Fund seeks to track changes, whether positive or negative, in the level of the DBIQ Optimum Yield Diversified Commodity Index Excess Return™ (DBIQ Opt Yield Diversified Comm Index ER) plus the interest income from the Fund’s holdings of primarily US Treasury securities and money market income less the Fund’s expenses. The Fund is designed for investors who want a cost-effective and convenient way to invest in commodity futures. The Index is a rules-based index composed of futures contracts on 14 of the most heavily traded and important physical commodities in the world. The Fund and the Index are rebalanced and reconstituted annually in November. The challenge for some investors, however, is that Invesco DB Commodity Index Tracking ETF generates a K-1 tax form for tax reporting. That isn’t a terrible issue, but it means instead of receiving the typical 1099 investors receive a K-1. Some investors aren’t familiar with a K-1, and they can obtain them later than a 1099. Then, there may be other investors who simply prefer not to own futures for the reason in the second paragraph of the above discription: “Because an investment in futures contracts is volatile, such frequency in the movement in market prices of the underlying futures contracts could cause large losses.” In reality, all investments have risk and stocks can have just as much risk of “large losses” as commodity futures, but it’s a matter of investor preference and perception. Since we have a wide range of investor types who invest in my ASYMMETRY® Investment Program I could gain my exposure to commodities in other ways. 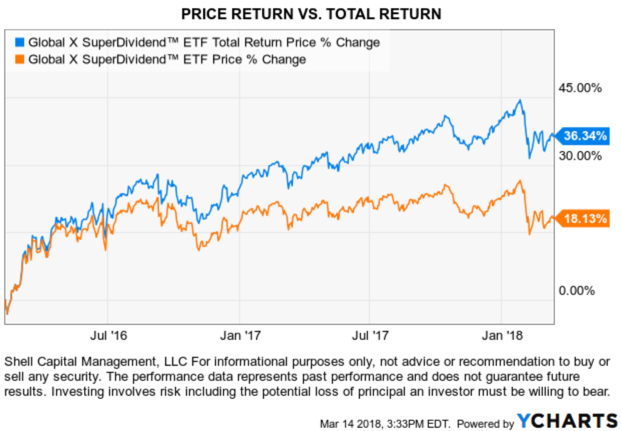 For example, the SPDR® S&P® Global Natural Resources ETF often has a similar return stream as ETFs like DBC that track a commodity futures index, except is actually invests in individual stocks instead. Below we see the price trend of this ETF of global natural resources stocks has been highly correlated to an ETF of commodities futures. In fact, as we step the time frame out to the common inspection date of each ETF in 2011, the SPDR® S&P® Global Natural Resources ETF has actually outperformed Invesco DB Commodity Index Tracking ETF overall in terms of relative momentum. The bottom line is, commodities “stuff” is trending up over the past two years and when the price of “stuff” is rising, that is called “inflation”. Commodities and global natural resources have been in a downtrend for so long it shouldn’t be a surprise to see this trend reverse up. Only time will tell if it will continue, but if we want exposure to it, we can predefine our risk by deciding at what price I would exit if it doesn’t, and let the trend unfold.Mike Shell is the Founder and Chief Investment Officer of Shell Capital Management, LLC, and the portfolio manager of ASYMMETRY® Global Tactical.You can follow ASYMMETRY® Observations by click on on “Get Updates by Email” on the top right or follow us on Twitter.The observations shared in this material are for general information only and are not intended to provide specific advice or recommendations for any individual. Investing involves risk including the potential loss of principal an investor must be willing to bear. Past performance is no guarantee of future results.Buying and Selling ETFsETFs are flexible and easy to trade. Investors buy and sell them like stocks, typically through a brokerage account. Investors can also employ traditional stock trading techniques; including stop orders, limit orders, margin purchases, and short sales using ETFs. They are listed on major US Stock Exchanges. ETFs are subject to risk similar to those of stocks including those regarding short-selling and margin account maintenance. Ordinary brokerage commissions apply. In general, ETFs can be expected to move up or down in value with the value of the applicable index. Although ETF shares may be bought and sold on the exchange through any brokerage account, ETF shares are not individually redeemable from the Fund. Investors may acquire ETFs and tender them for redemption through the Fund in Creation Unit Aggregations only. Please see the prospectus for more details. After-tax returns are calculated based on NAV using the historical highest individual federal marginal income tax rates and do not reflect the impact of state and local taxes. Actual after-tax returns depend on the investor’s tax situation and may differ from those shown. The after-tax returns shown are not relevant to investors who hold their fund shares through tax-deferred arrangements such as 401(k) plans or individual retirement accounts. Performance of an index is not illustrative of any particular investment. It is not possible to invest directly in an index. As with all stocks, you may be required to deposit more money or securities into your margin account if the equity, including the amount attributable to your ETF shares, declines. Unless otherwise noted all information contained herein is that of the SPDR S&P Global Natural Resources ETF. S&P – In net total return indices, the dividends are reinvested after the deduction of withholding tax. Tax rates are applied at the country level or at the index level. After a very positive January for U.S. and international stocks, in February it only took 10 days for the S&P 500 to decline -12% intraday and a -10% drawdown based on closing price. Yet, February ended with the S&P 500 only down -3.5% after that -12% intra-month drawdown. For the month, International (MSCI EAFE) and Emerging Markets declined the most viewing the below board based indexes. The U.S. Dollar gained 1.8%. Of course, one month isn’t a trend. In fact, I’m going to explain how this is an intentional logical inconsistency. Speaking of one time period in isolation, be it a month, year, or series of years is just an arbitrary time frame. What’s worse is viewing just the result over a time frame, like the month of February above, in just a table format. A return stream is precisely that; a stream. A return stream is a continuous price trend in a continuous specified direction. Continuous is forming an unbroken whole; without interruption. So, I like to view return streams as price trends on a chart so I can see how the trend really unfolded over the period. Observed as a visual price trend, we see both the good and the bad of the price action along the way. You can probably see how it does that better than a simple performance table, monthly return % of the period or the bar chart above. In the chart above, we see how much the price trends of those markets declined along the way before closing the month yesterday. I wrote about the short-term risk reversal in Stock Market Analysis of the S&P 500 suggesting it may reverse back up at least temporarily and retrace some loss and it did. Now, what is essential about looking at performance data and trends is what the investor experiences. Investors experience what they choose to experience. For example, suppose and the investor is fully invested in the stock market, they could experience the month one of three ways. If the investor only looks at his or her month-end statement, they would experience either the month end “-3.5%”. If the investor watches their account or market indexes closely every day, they experienced every daily move and the full -12% decline and then some recovery. Some may not pay any attention at all either because they are disinterested or they have an investment manager they trust to manage their risk-taking and risk management for them. Investors and traders get to choose what time frame they watch things. I’ve always observed that “watching it too closely” can lead to emotional mistakes for many. For me, I’m paying attention and may zoom in and pay more attention when trends get more volatile or seem to reach an extreme. But, I’m a tactical portfolio manager, it’s what I do. I can view short term or long term trends alike with self-discipline. I have an edge that has been quantified by a long track record of 14 years in the current portfolio I manage. For a skilled tactical trader who has an edge & discipline, "watching it closely" is useful when the short-term market trend changes and becomes volatile. But, for the investor who isn't making decisions, or trader who lacks edge/discipline, it can lead to bad feelings/mistakes. If the investor doesn’t like to see such losses like those experienced in many markets in February, they may choose to instead not be fully invested in stocks all the time. That’s what I do. I’m not invested in any specific market all the time. My exposure to risk and return increases and decreases over time based on trends and my risk systems. I intentionally increase and decrease my exposure to the possibility of loss and gain. I’m also unconstrained so I can do it across any global market like bonds, currency, stocks, commodities, or alternatives like REITs, inverse (shorting), or volatility. I say investors should find and do what helps them, not make it worse. Know yourself, know your risk, and know your risk tolerance. That’s what we do. So, that is what happened during the month of February, and a little asymmetric observation to go with it. 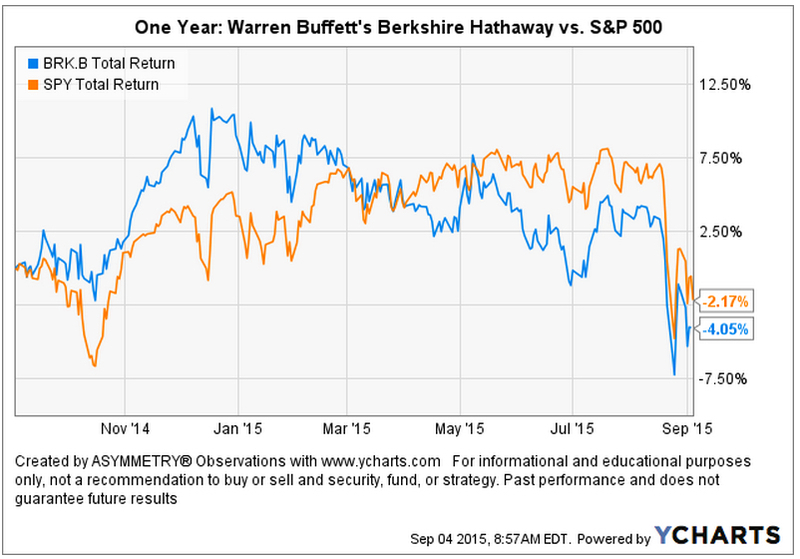 The Stock Market Trend: What’s in Your Boat? The stock market trend as measured by the S&P 500 stock index (the black line) has had a difficult time making any gains in 2015. SPY in the chart below is the SPDR S&P 500 ETF seeks to track the investment results of an index composed of large-capitalization U.S. equities. It’s the stock index most people talk about. But, what is more interesting is the smaller companies are even worse. The red line is the iShares Russell 2000 ETF (IWM), which seeks to track the investment results of an index composed of small-capitalization U.S. equities. The blue line is the iShares Micro-Cap ETF (IWC), which seeks to track the investment results of an index composed of micro-capitalization U.S. equities. This index provides exposure to very small public U.S. companies. Clearly, smaller companies are having an even more difficult time attracting enough demand to create a positive trend lately. This may be the result of a very aged bull market in U.S. stocks. It could be the very early stages of a change in the longer term direction. I don’t worry about what I can’t control. I instead focus only on what I can control. My focus is on my own individual positions risk/reward. I defined my risk/reward. If I want to make a profit I have to take some risk. I decide when to take a risk and when to increase and decrease the possibility of a loss.